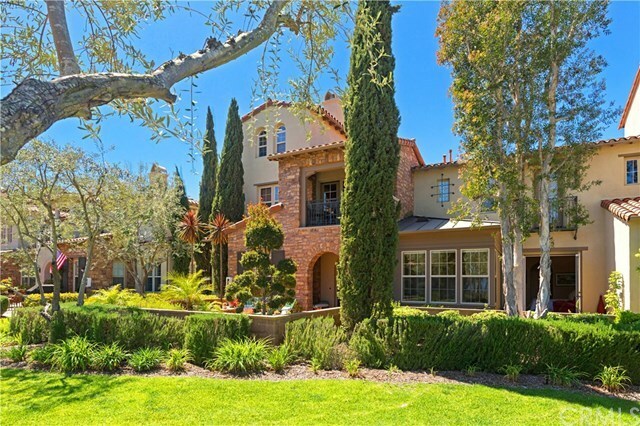 Located in a prime view location in the resort-style gated community of Ziani, Newport Coast. This highly sought after single-story view home provides 2 bedroom, 2 bath plus dining room/office and over 1600 square feet of living space. The home features an open floorplan with a cookâs kitchen and newly installed custom cabinetry, granite counters and built-in stainless steel Kitchen Aid and Bosch appliances. The master bedroom offers a custom designed closet and exqisitely appointed master bathroom with travertine stone and soaking tub. This stunning home has built-in cabinetry by California Closets, crown molding and a soft water system. The home boasts a front patio professionally designed and landscaped by Rogerâs Gardens featuring city light and greenbelt views. There is a large laundry room and attached 2-car garage with built-in cabinetry. Resort style amenties include a salt water pool, spa, BBQ area, putting greens, walking trails and clubhouse. The community is ideally located to Pacific Ridge Trialhead for hiking and biking, Pelican Hills Gof Course and Fashion Island.